Tamara Narayan, Author: Y is for . . . 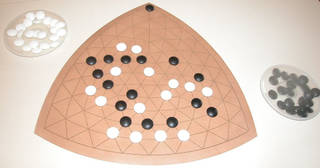 In this game, two players take turns laying chips on a triangular board. The first player to make a path that connects the three different sides wins. The winning path will form a twisted version of the letter Y, hence the name. I probably should say something about strategy since my theme this month is Mad-Cool-Math Nuggets, but nah. Not in the mood. Yesterday's blog was sufficiently mathy for several days worth of blogs. This game caught my eye because my kids have a slightly different version. In Bingo Link you only have to forge a path between opposite sides of the hexagon. The sides are color coded red, blue, and yellow so you don't forget where you are going. The twist is that each player calls out the picture in the spot they choose to place their marker. The other players then have to find that image on their board and they get to place a marker in that spot. Maybe it could be called the I-game, for I-spy. 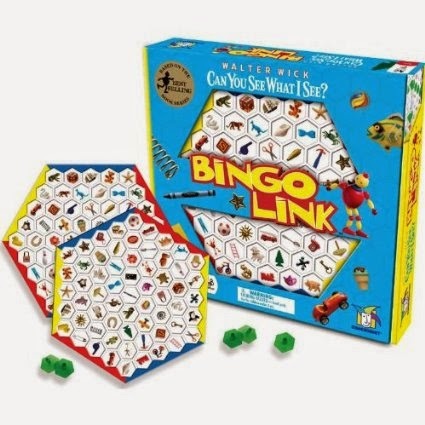 Bingo Link is quick to learn, but boring once you're past age 6 or 7. What are your past or current favorite board games? This past Christmas we got Forbidden Island which is a great cooperative board game. We also love One Night Ultimate Werewolf. That one looks more like a card game than a traditional board game, but I highly recommend it. Lots of strategy involved in that first one. We're big on trivia games at our house. Especially movie trivia. I used to play a version of this on my cell phone, but it only needed to connect two ends of a square board. We used to have a lot of fun with the standards, Monopoly, Life, Trivial Pursuit. The last time I played Monopoly with my grandsons, ages 5, 4, the four year old tipped over the board and went off in a huff because all of his money was gone. She must be related to one of my daughters. When my kid gets mad, she shreds the play money and property cards. I have always loved Scrabble. I suppose that's only natural as I'm so keen on words! My wife and I love Scrabble... but we're both competitive and hate losing, so this game over the years has now evolved into the "birth-control game!" "Birth-control game"? That's too funny. I had never heard of the Y game. Sounds like a good thinking game. I'm sure I've played something similar to Bingo Link. Ultimate Werewolf sounds like one exciting card game! It is, but you have to have some skill at lying to win. I haven't heard of the first one. And we had tons of board games growing up. Favorite board games: Clue, Masterpiece, and Chronology. Oh, and Pente. I love old-school board games, like Monopoly and Husker Du. I have very fond memories of playing those old board games with my paternal grandparents in their cellar. Hmmm, I haven't played a board game in years. I'll have to give this one a try. As a kid, we could never even figure out chinese checkers! Great post. I've never heard of this game. I'm pinning the image so I can look for it later. I'm following you on your listed social media sites. Thanks for that info.! I wasn't sure if that after party was happening this year. I'll be there.